MONTREAL – Trains magazine has presented its annual $10,000 Preservation Award to the Washington, D.C., Chapter of the National Railway Historical Society for the mainline restoration of a Pennsylvania Railroad passenger car, Collinsville Inn. 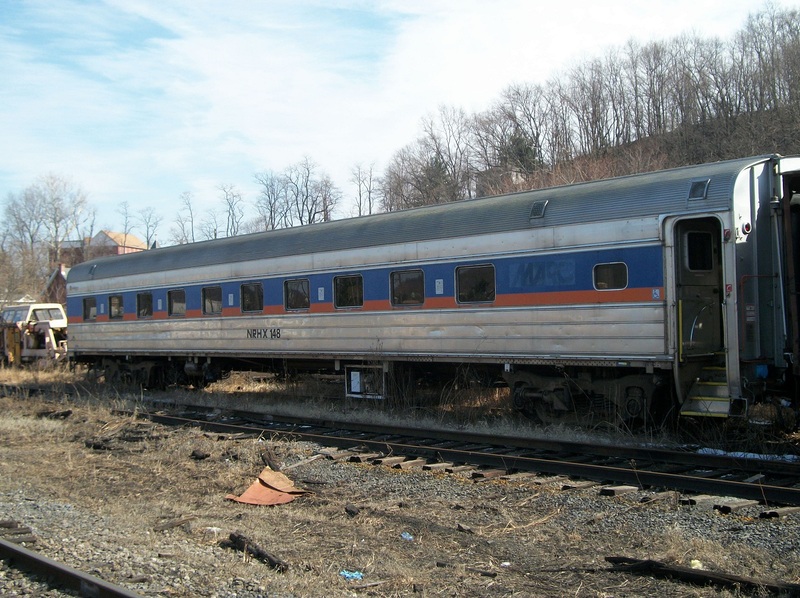 Restoring a high-capacity coach will enable DCNRHS to introduce new generations of rail enthusiasts to the history and excitement of mainline rail travel. The presentation took place Saturday, November 10 at the annual dinner for the joint Association of Railway Museums/Tourist Railway Association Inc. in Montreal. Budd built Collinsville Inn as a 21-roomette sleeper in 1949. It was converted to a coach in time for the 1964 World's Fair in New York. It later saw service as a commuter car and passed from the Maryland Department of Transportation to the Chapter in 2008. It has had its Amtrak 40-year-inspection and, following additional mechanical and cosmetic work, should be roadworthy in 12-18 months. This year’s project was selected from more than 75 proposals from across North America. In addition to volunteer labor, the project is estimated to cost at least $17,900.00. The remaining funds will be need to be raiised from private donations. See full Trains Magazine Press Release.